Thank you for your interest in our Club Ashtray. Please complete your details on the 'Quick Quote' form and click the Submit Button at the bottom of the page. 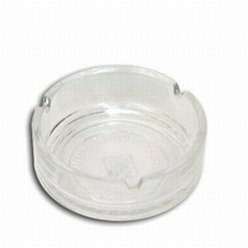 A customer service consultant will contact you about the Club Ashtray with a quotation. Are you looking for an ashtray? Giftwrap provides the Club ashtray that is made from glass. 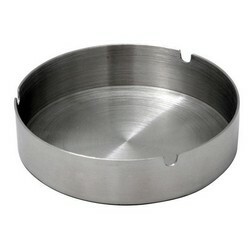 It has a round shape making it easier to place on flat surfaces. 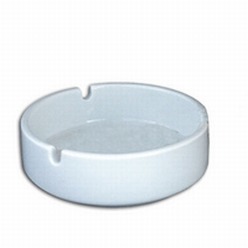 The club ashtray is an ideal choice that will bring a classy touch to the decor of the room. You can place the ashtray on top of your desk. 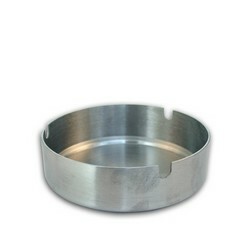 This ashtray is perfect to be used in hotels, bars or offices.